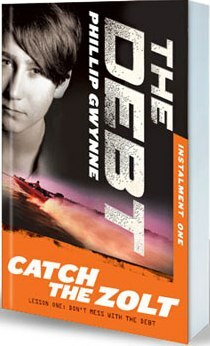 French rights to hot Australian series The Debt go to Casterman! Congratulations! One boy. Six tasks. An ancient family debt. Fifteen-year-old Dom is cast out of his comfortable life in the Australian Gold Coast’s Halcyon Grove when he inherits an ancient debt. Now, he has six Herculean tasks to perform…or lose a pound of flesh. Previous Post Who needs a sword when you have a fancy umbrella?